Great for pre-workout to relax muscles, post workout for quick recovery and rehab to decrease swelling. 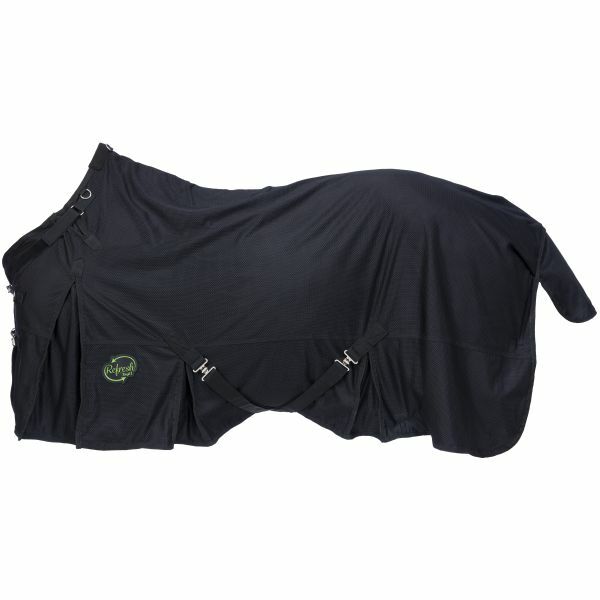 The ceramic infused fibers absorb your horses heat and return it to the horse as Far-Infrared Rays. These rays go deep within the body tissue expanding blood vessels and increasing circulation. Increased circulation helps to repair damaged muscles, reduce inflammation and loosen up tight muscles.